I'm getting ready to purchase some struts. I brouhgt some h&r lowering springs with a 1.4" drop. I was wondering if kym gr2's would do the trick or if I should spend a little more and get some Tokico HP blue struts? I had the GR-2s on one of my lowered 240s and it was terrible. I'd go with the blues. They do, and at any more than 1.5" of drop, I find they're really succeptible (sp?) to damage. I don't mean to be a d!ck, but struts don't dictate your ride height... if that's what you were implying. I could have misunderstood your post though. Yeah if you've got major bank... Those cost as much as inexpensive coilovers lol. depends on how low you want to go . i had tokico illuminas on a 2 1/2 in drop and destroyed them in less than 6 months 3 were done . switched to agxs on the same springs never had a problem again and i like the ride of the agx better personally but then again i like a tight / rough ride . 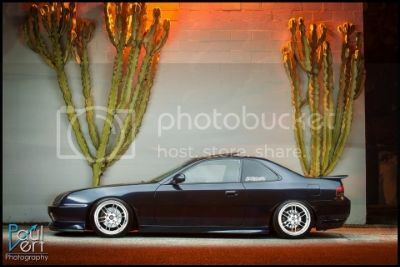 The best option for a really low 'lude is coilovers. If that's not an option, then AGXs are probably your best bet. Really low would be more than a 2" drop? 2" or better in my book. Then again, I've been known to overthink things sometimes. lol. how much of a drop can koni yellows handle before blowing out? There's a lot more to it than just "how much of a drop" they can take. I'm not trying to be a d!ck or anything, just being honest. For most people, anywhere up to maybe 2.25" would be acceptable. On rougher roads, I wouldn't push my luck past 1.5" on ANY (OE type fitment) struts.